GuardMetrics has developed a network of security industry partner companies that may help your guard firm reduce overhead expenses, and/or potentially help you open new revenue streams for your company. The program provides an eco-system of vendor resources designed to help you improve your company’s financial performance through cost savings and by increasing bottom line revenue. Call GuardMetrics, or click here, if any of these security operations management services might serve you! According to a 2017 security industry white paper, the average small-to-medium size security company in the US earns between 14% and 16% gross profit at the site level. 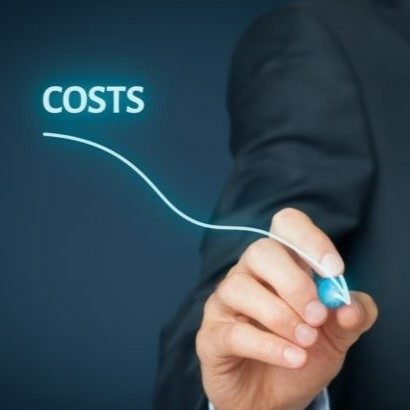 This means for every dollar billed, small to medium size security guard companies retain an average of only $0.15 (15 cents) to fund corporate overhead costs including sales and marketing expenses, office rent, G&A expenses, and salaries taken by the owner(s), managers, and administrative staff! Needless to say, these margins leave little room for error, making it tough for even the brightest, most experienced owners to successfully build a multi-million dollar guard business. GuardMetrics is unique in terms of how we serve our security guard company customers. Our business strategy is to provide clients with great security operations management software for officer tracking and reporting, while also helping customers grow, so we can grow with you. By helping you improve your company’s financial results, we forge a unique business relationship with you designed to last decades, rather than weeks or months. Part of achieving better financial results is reducing overhead expenses. Below is an outline of GuardMetrics Partner Services that might help your company reduce some considerable expenses. Over the past few years the cost of cellular, landline, and Internet services has gone down significantly, and the number of dependable service provider options has skyrocketed. Yet, many security guard companies continue to pay high service fees to the most expensive carriers. GuardMetrics can help you not only reduce your telecom expenses, but in some cases we can even help you recover up to three years of fees you may have paid your existing carrier for services you never used – but were charged for! To contact us about telecom services for security businesses please call or click here. Are you working with an insurance broker who specializes in the security industry? Do you have confidence you’re not overpaying for the specific coverage you need for your business? GuardMetrics has identified insurance resources that specialize in the security industry, and that can often provide the same or better coverage for a lower premium than you may be paying now. Please call or click here to contact us about security guard business insurance services. Are you certain you have the best arrangement possible in place for uniforms and equipment in terms of cost, quality, and the time it takes you to facilitate logistics such as tailoring and delivery? GuardMetrics may be able to help you reduce costs for uniforms and equipment and also potentially help you simplify the tailoring and delivery process. To discuss security uniform & equipment services please call or click here. Did you know your company is most likely eligible to receive tax credits from the Federal Government for every employee you hire who has a US military background, or has a history of earning a low wage? For many security guard companies as much as 80% of all new hires fall into one or the other of these categories. Tax credits can range between two hundred and twelve hundred dollars per eligible hire, which can add up to a considerable sum each year for any security officer business! Call us today about guard business federal tax credit administrator services, or simply click here. Is your company using a single, unified technology platform to automate scheduling, payroll, billing and compliance? Depending on the size of your security guard service, scheduling, billing, payroll, and compliance can be some of the most expensive tasks to conduct. Once a guard company surpasses 80 – 100 FTE’s, managing scheduling, payroll, billing, and compliance without the right technology becomes nothing less than a time consuming, expensive challenge, fraught with pitfalls and potential risk! GuardMetrics Partner Services Program can help you identify and implement an integrated technology solution for scheduling, payroll, billing, and compliance that will save your security company money, and reduce your exposure to risk in these areas. Please call or click here to discuss guard company scheduling, billing, payroll and compliance. In addition to helping customers reduce overhead, GuardMetrics Partner Services Program is designed to help guard companies open new, and profitable revenue channels that positively impact your bottom line without the need to expand your existing labor pool. Many large, national, and international guard companies are heavily promoting the term “blended security”, which is a service offering that includes a mix of traditional security guards and modern technology. This approach not only helps bring in new customers, but it also opens new revenue streams for the guard company by producing income from the sale of technology, related services, and other safety and security related items and services. Most organizations that hire security guards also have a budget for many other safety and security solutions and services. Our strategy is to help you position your firm so that your customers can buy the same or better technology and/or ancillary services from you, with whom they have established an element of trust, rather than buying from someone they don’t know. We make it easy for you to communicate these new offerings to your clients by providing you with marketing materials, branded for your company, that make these new services simple to promote. A key component to offering a “blended security” solution to your customers is being able to deliver video monitoring services. GuardMetrics has established a relationship with a state-of-the-art video monitoring service that incorporates the latest central station technology and video analytics, capable of integrating with over three-hundred (300) camera manufacturers, enabling you to offer video monitoring services to your clients (under your brand), regardless of what kind of existing cctv system the client already has in place. The revenue share arrangement for participating guard companies is exceptional, and the rates charged to clients are ultra competitive. Please call or click here to discuss opening a new revenue stream with video monitoring services. Cyber Security is more relevant today than ever before, and its importance will only grow in the years to come. Nearly every business, large and small, needs better education, and better protection against the risk of cyber attack. GuardMetrics has developed a relationship with cyber security industry experts that want to work with you, and for you, to provide the best cyber security solutions in the world for your clients. The cyber security space is an extremely important area for businesses concerned about security, and can also be a lucrative service offering for your guard business to provide. For more information about cyber security partnerships click here or call us to ask about the $250 Incident Response Sign Up Bonus. Most companies that hire security guard services also spend money on cameras and access control systems. Why not allow your customers to purchase these hardware items and installation services through your company instead of purchasing somewhere else? GuardMetrics has developed relationships with a myriad of regional partners that are ready to work with your firm on a revenue share basis, allowing your company to provide hardware options, technical expertise, and consulting services to your clients under your brand name. Call today or click here to explore improved cash flow with security camera systems and access control sales and installation services. Every commercial property owner in the U.S. is required to invest in a host of fire protection hardware and services. This means that every commercial property owner you have as a client has a budget for fire protection and is spending money every single year with a provider. 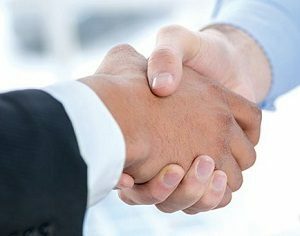 GuardMetrics has established a relationship with a premier, nationwide fire protection company that wants to partner with you under a profitable revenue share arrangement that will help boost your bottom line. For more details about Fire Protection Partnership options in your area call GuardMetrics, or click here today. Background check services are purchased by tens of thousands of U.S. companies every year. Chances are, many of your existing clients are purchasing background checks today. GuardMetrics has developed a relationship with a top end background check provider with a revenue share arrangement that will allow your clients to purchase background checks through your company; increasing your revenue while helping your clients. Please click here or call us to discuss how your company can begin offering background check services. We can help you reduce security operations management expenses and establish new revenue streams with these services. Call us today!